Waldens Ridge, TN — The Walden’s Ridge Quilt and Craft Club will be honoring local military with a dinner and quilt presentation on November 1, 2018 at the Waldens Ridge Community Center on Highway 30 on Dayton Mountain. There will be a full dinner beginning at 5 pm and presentation afterwards to support our troops. 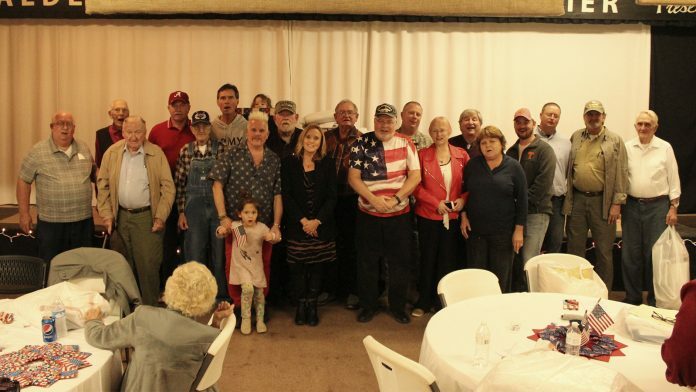 The dinner and presentation is a way to thank these veterans for their service. Last year 50 quilts were made for veterans in the local area. During the ceremony, the local JROTC unit was at the event to present the colors and meld young and old together with service to their country a priority. For more about last year’s presentation, check out the article by Leah O’Neill.